AFRICAN PATCHWORK | HaaT | News | ISSEY MIYAKE INC.
A cotton jacket series using luxurious appliques and bhill embroidery. The textiles made by Indian artisans have an African tapa tree bark design. 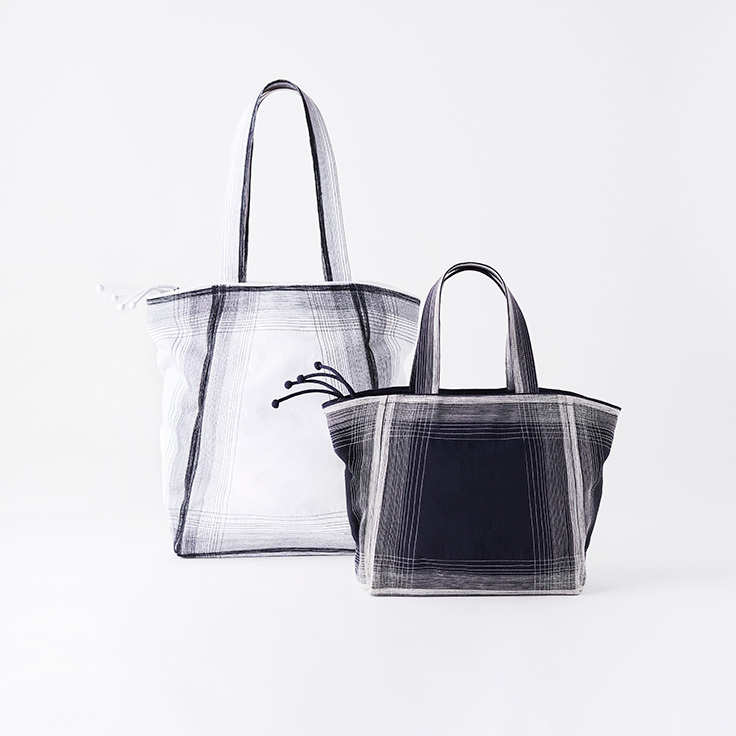 A bag series that has both monochrome gradation and flair with embroidery on the edges.